Another ColourPop post! This concludes the items in my latest order. I might just put in another order during my holiday break. I keep seeing shades that I want to try! We'll see if my self-restraint holds out or not. But if you want to be an enabler, tell me some of your favorite CP products and shades! 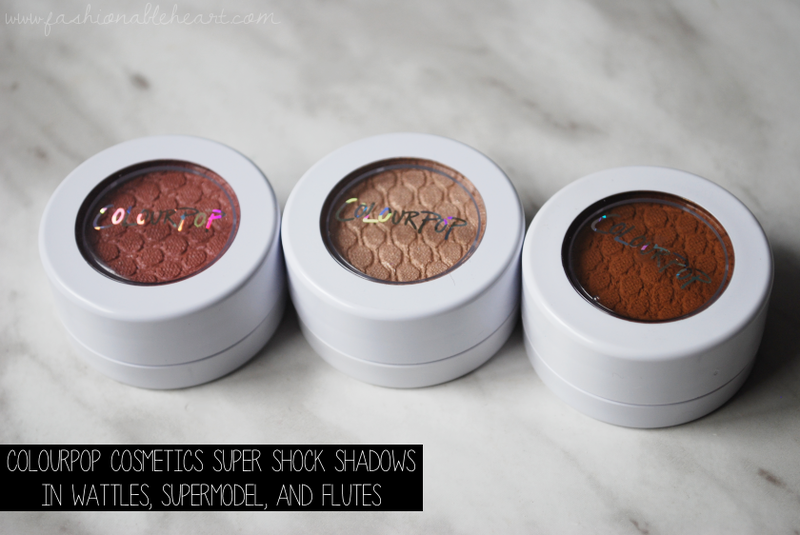 In today's post, I am sharing my swatches of Wattles, Supermodel, and Flutes. I won't delve into the formula much, as I have already done that in the past on the Mile High set. 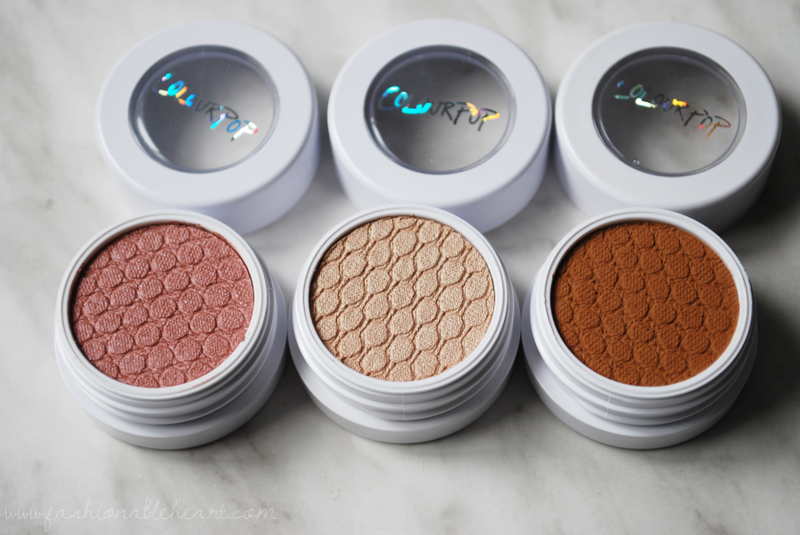 You can see my other ColourPop reviews and swatches on the "colourpop cosmetics" label on this post. Wattles - A pretty rosy pink. I think this one pairs really well with the Naked 3 palette, if that's a palette you love. Lasts all day for me. Supermodel - They say "golden ivory", but I see more of a champagne like Urban Decay's Sin that I love so much. This is a great base color for a shimmery look. Lasts all day and does not crease over primer on me. Flutes - I wouldn't normally be attracted to a color like this, deeming it too warm for my liking. But they named it Flutes and I had to have it as a flute player and band nerd. I don't use this one that often, but I like it in my crease on warmer looks. As a matte, I find that it blends well and doesn't look patchy. Lasts all day.